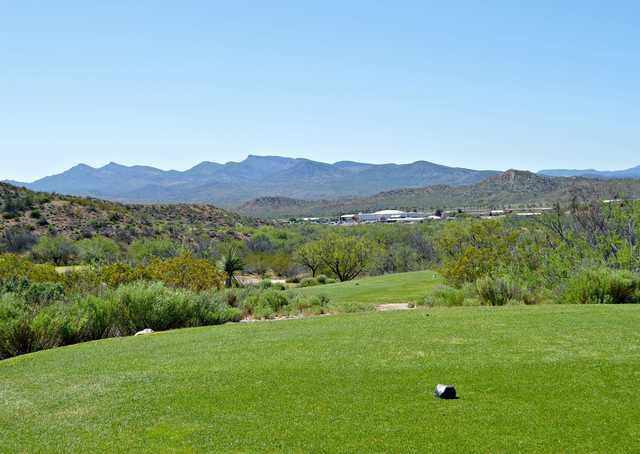 The Apache Stronghold Golf Course is situated upon pristine land that, according to legend, was created by the God Usen to provide the Apaches with everything they needed to survive. 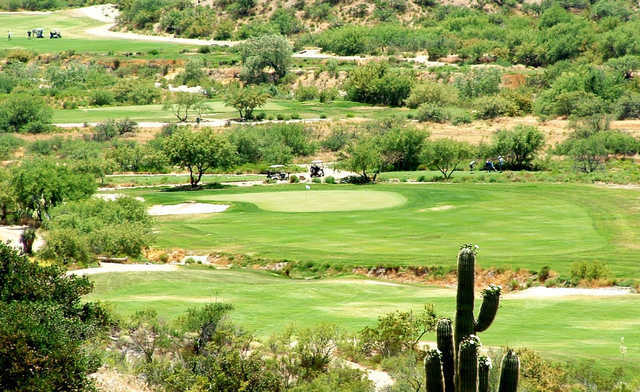 The Apache Stronghold Golf Course is situated upon pristine land that, according to legend, was created by the God Usen to provide the Apaches with everything they needed to survive. It was called the Apache Stronghold because it had the protection of the Chiricahuas, Aravaipas, Superstition and White Mountains, and it is said that here the Apaches could walk invisibly among their enemies. 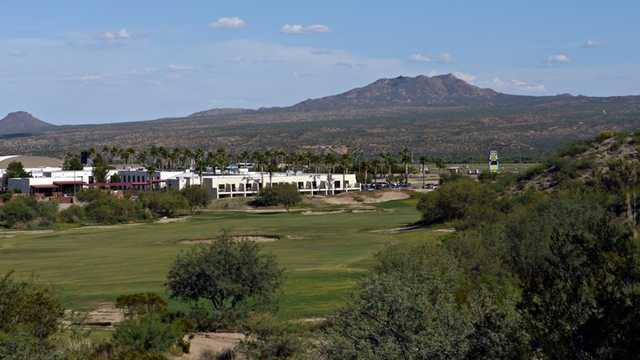 The scenic golf course is the centerpiece of the Apache Gold resort. 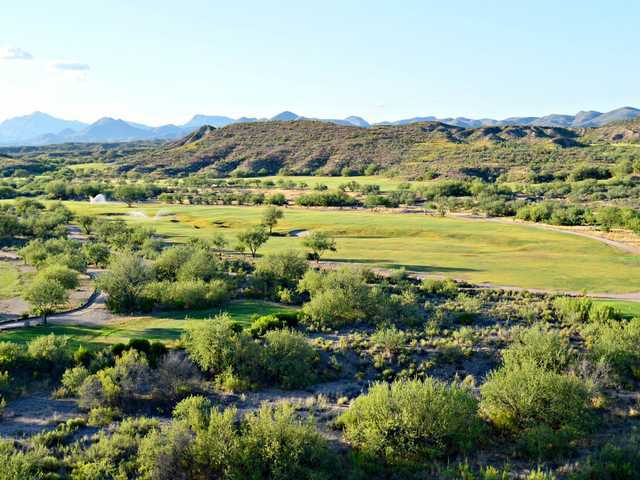 The unique landscape provides elevated tees, desert arroyos, and spectacular views of the surrounding mountains. 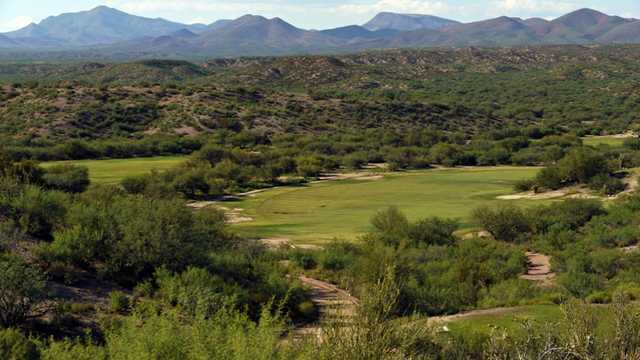 This 7,519-yard golf course will reward long hitters but golfers should be mindful of the washes and arroyos that crisscross the fairways. 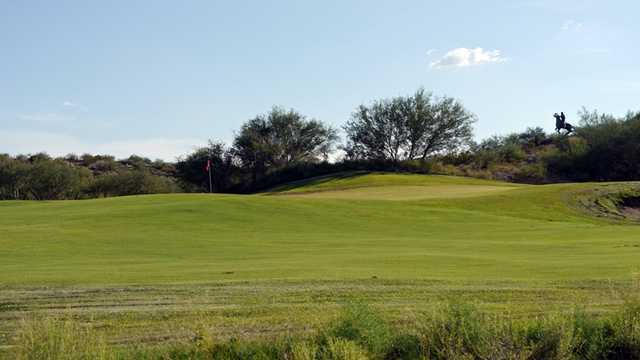 The layout doesn't have any water but there are 50 strategically placed bunkers coming into play and the rolling terrain provides plenty of hazards. Many holes are carved right into the foothills.